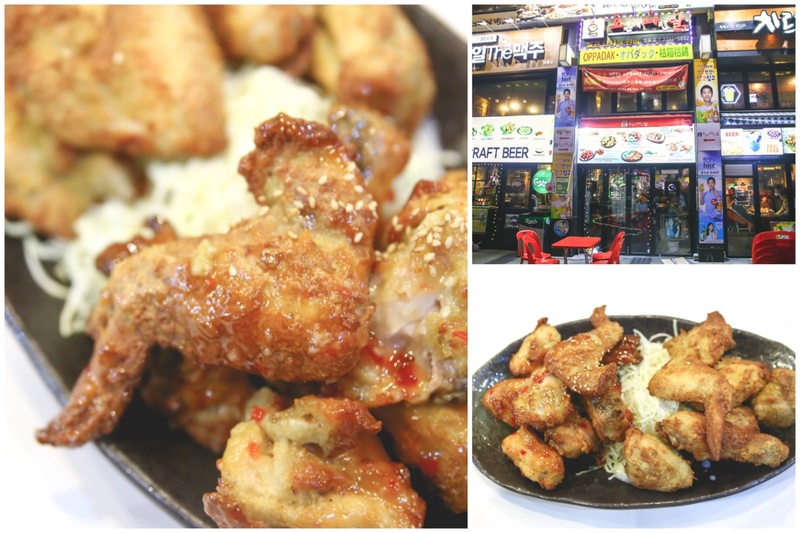 [Seoul] Oppa Dak Chicken Restaurant 오븐에빠진닭 may be known serve up the classic Korean dish of Chimaek – Korean Fried chicken and beer, but there is more to its name. 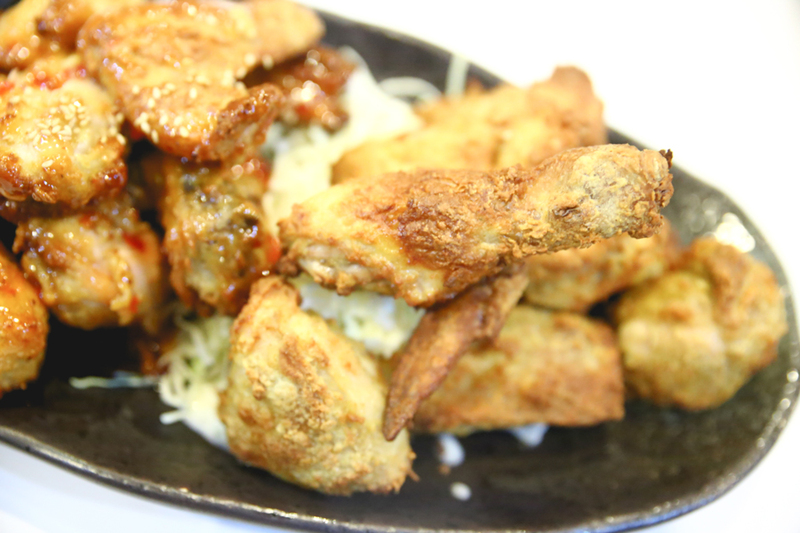 The popular dinner and supper spot at offers chicken that is BAKED instead of deep-fried, all in a high-temperature oven so as to maximize moisture, crispiness and flavour. 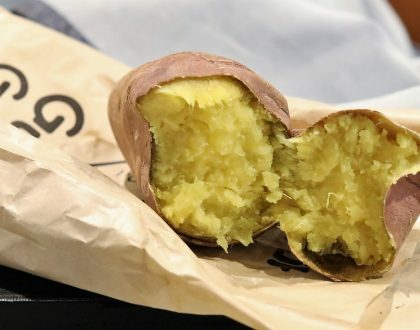 The baked versions are offered with or without skin, and are supposedly a healthier alternative. 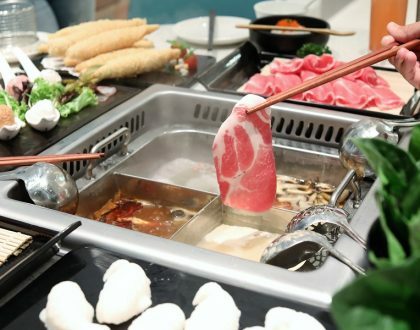 You can also pick chicken in its roasted forms, which some regulars will swear by. 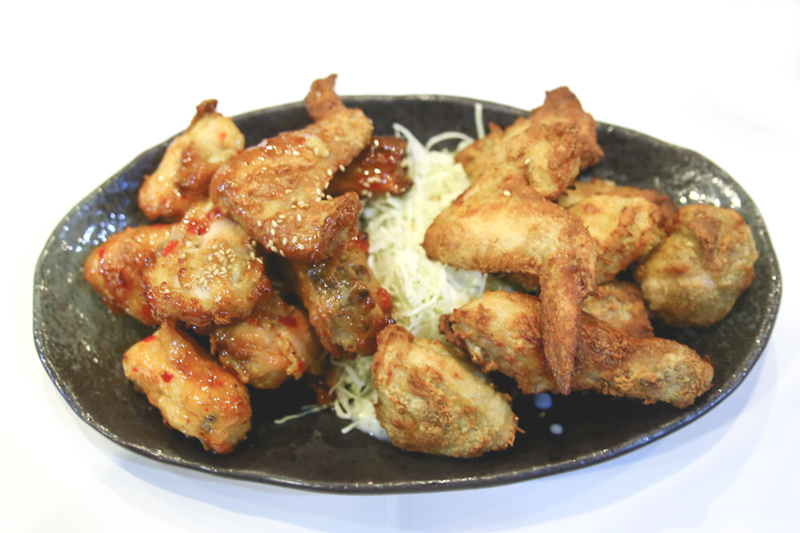 The Roasted versions come in Original (14,900 Won), Wings (15,900 Won) and Thigh (15,900). 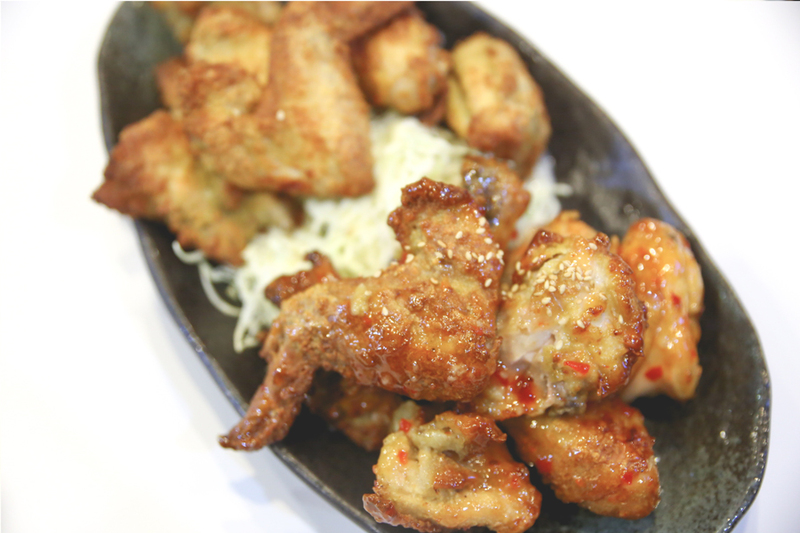 A basket of Crispy Baked Chicken meant for two can cost around 15,900 Won, while beers are about 5000 won per bottle. 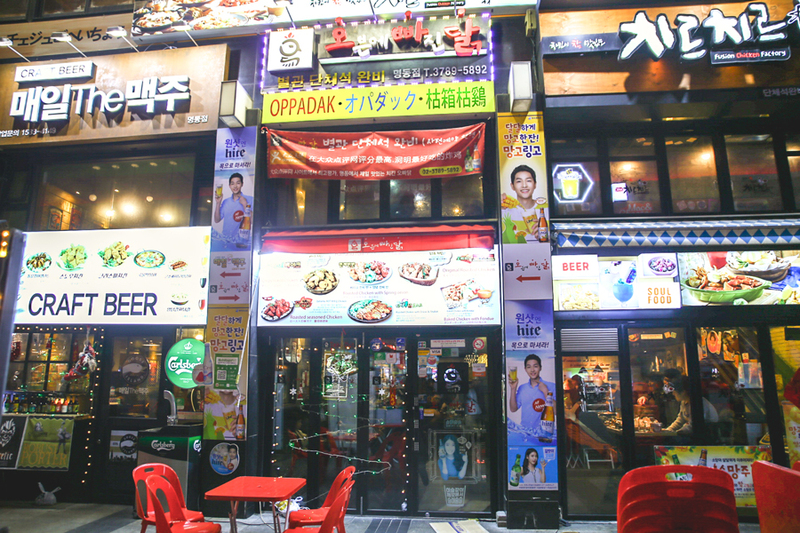 I would suggest getting a Half&Half (18,000 Won) which allows you to try different flavours tossed in a selection of sauces, including sweet chili, peanut, teriyaki and garlic. Service was generally fast (like the chicken came in 10 to 15 minutes) although staff rarely speak English, and ordering might be somewhat of a hassle. 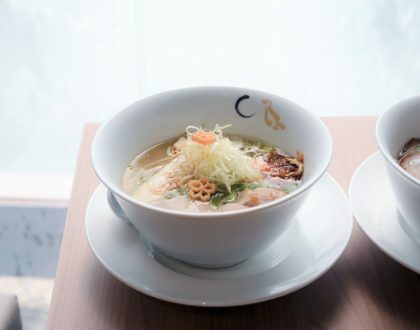 Thankfully, there was an English translation of the menu. 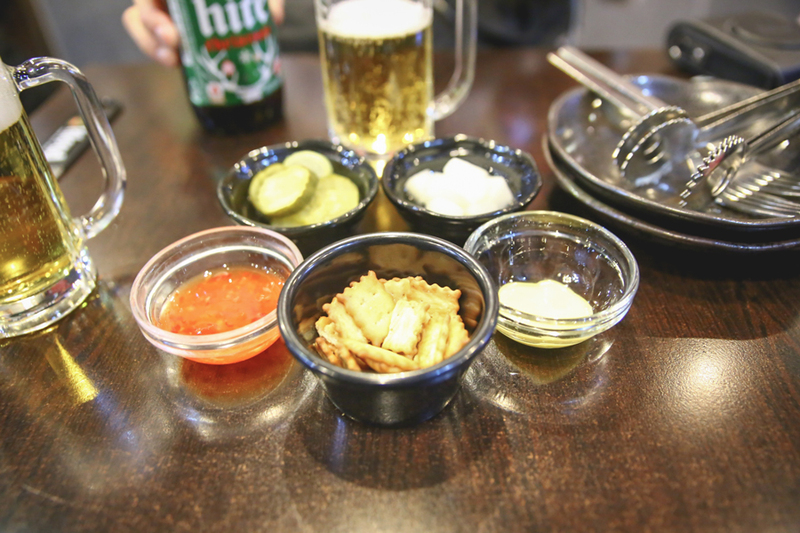 While waiting, you can enjoy the white daikon radish pickles that are served as complimentary appetizers, and wash it all down with refreshing draft beers. Baked chicken may not appeal to everyone’s taste, because the outer layer lacked that oily, greasy crunch. So I had the Sweet Chilli Chicken, which had a dry and brittle type of skin coating the meat which was moderately juicy. It tasted healthier, saved by the interestingly-tasty sweet sauce. 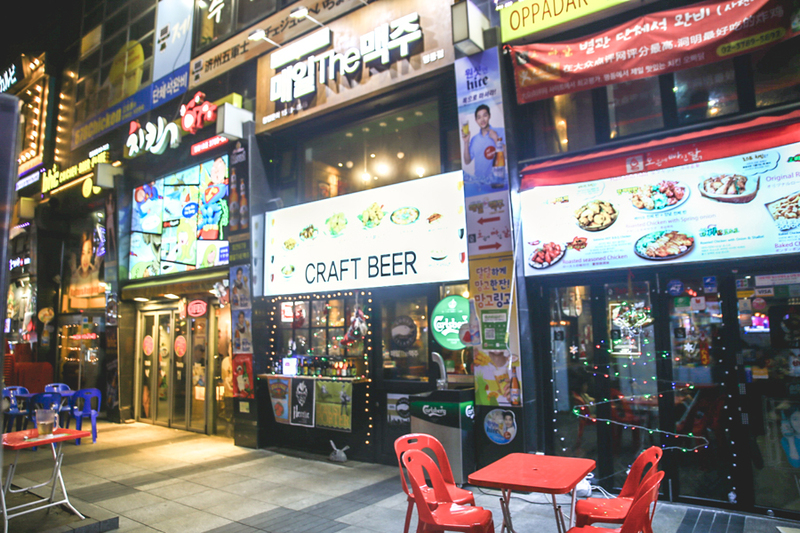 The interior is what one would expect of a typical Chimaek restaurant, slightly cramped, plastered with advertisements of Korean celebrities posing with beer. 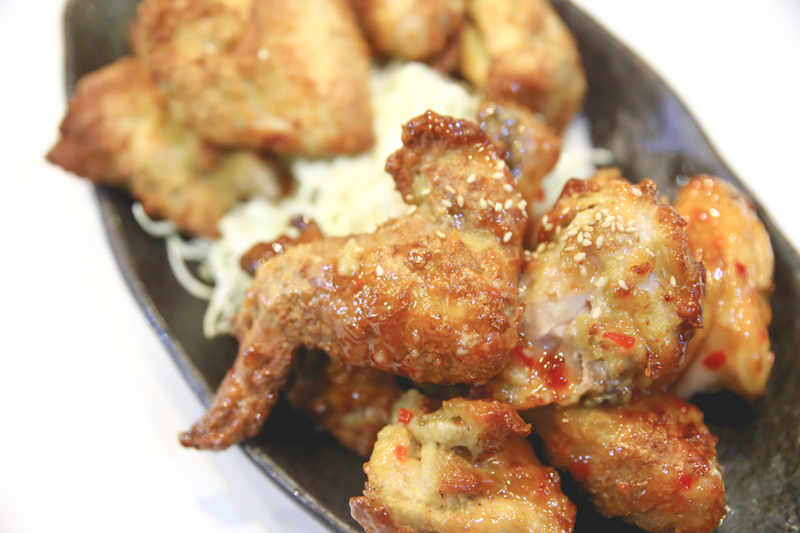 Oppadak is opened till late, so you know where to grab some late-night fried chicken supper.